Availability: Out of stock. Estimated to ship in 4-8 weeks..
Famed for his magnificent stature, the Lord of Matsch Ulrich IX became something of a legend, a symbol of the invincible warrior. You can emulate the look of this iconic leader with the Ulrich IX Jousting Full Suit of Armor. This magnificent set of armor is a replication of his Milanese made jousting armor which still displayed in the Churburg castle in Sluderno, Italy. Employing the signature styling of Italian made plate armor, this set features beautifully smooth steel plates. Matching the original set, this set is also handcrafted in Italy from exceptionally high quality steel. It is a wearable set of armor, with a basinet style helm which has a functional visor. 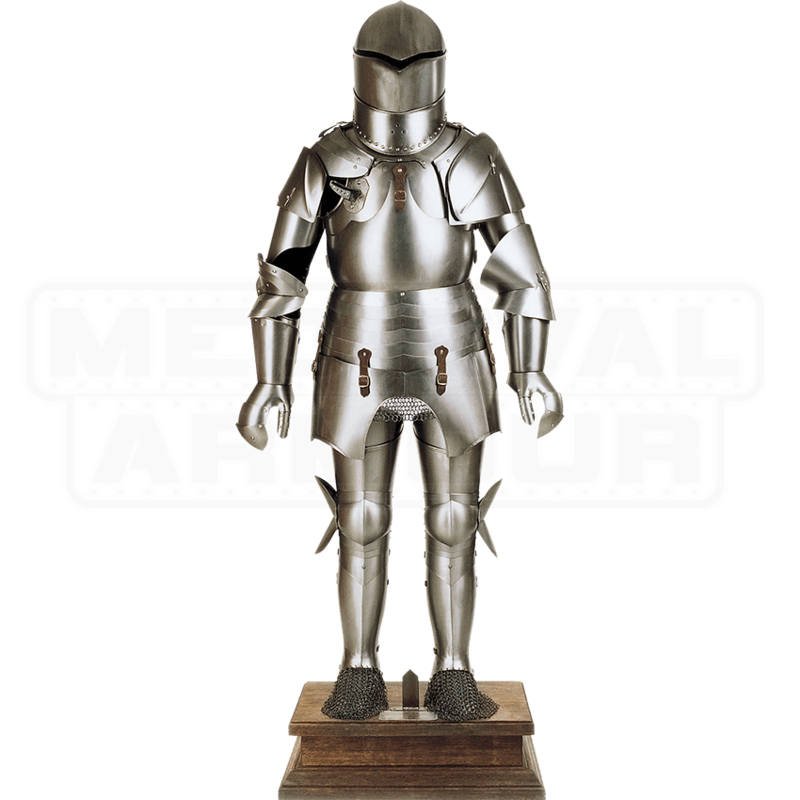 Included with this plate armor is a sturdy wooden platform on which this suit can be prominently displayed, allowing for an elegant way to decorate your office or home and definitively express your passion for history. 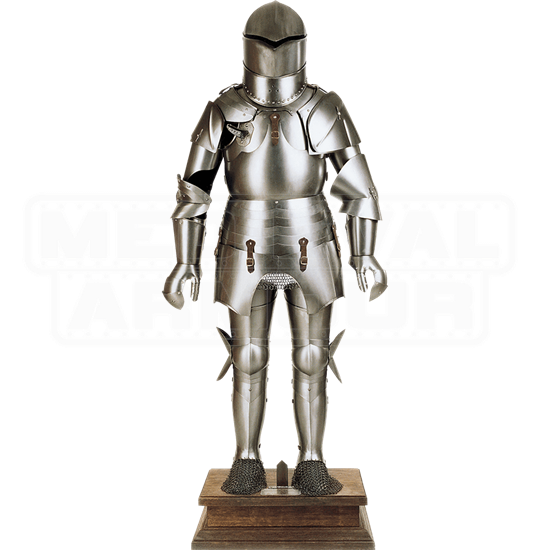 Experience a piece of the Italian Renaissance with the authentic design of the Ulrich IX Jousting Full Suit of Armor.